The tabernacle at Holy Trinity Church on Manhattan's Upper West Side. The Holy Eucharist was stolen early last week. Auxiliary Bishop John O’Hara addresses the congregation during the 9:30 a.m. Mass Sept. 25 at Holy Trinity Church on Manhattan’s Upper West Side. The Holy Eucharist was stolen early last week from the church’s tabernacle. The Holy Eucharist was stolen early last week from Holy Trinity Church on Manhattan’s Upper West Side. The tabernacle door was reportedly vandalized and forced open and the Eucharist was removed what is believed to be sometime early Monday morning, Sept. 19, according to Msgr. Thomas Sandi, the pastor. Msgr. Sandi made the discovery when opening the church for 9 a.m. daily Mass that same day. He reported the incident to police, and at press time was awaiting results of their investigation. The tabernacle door is currently being repaired. On behalf of Cardinal Dolan, Auxiliary Bishop John O’Hara, episcopal vicar of Staten Island and South, East and West Manhattan, presided at Sunday morning Masses at Holy Trinity on Sept. 25. After introducing the bishop to his parishioners before the 9:30 a.m. liturgy, Msgr. Sandi explained the purpose of the bishop’s visit to the church. “He’s come to comfort us and to support us,” Msgr. Sandi said. Bishop O’Hara blessed the tabernacle, sanctuary and church nave with holy water. 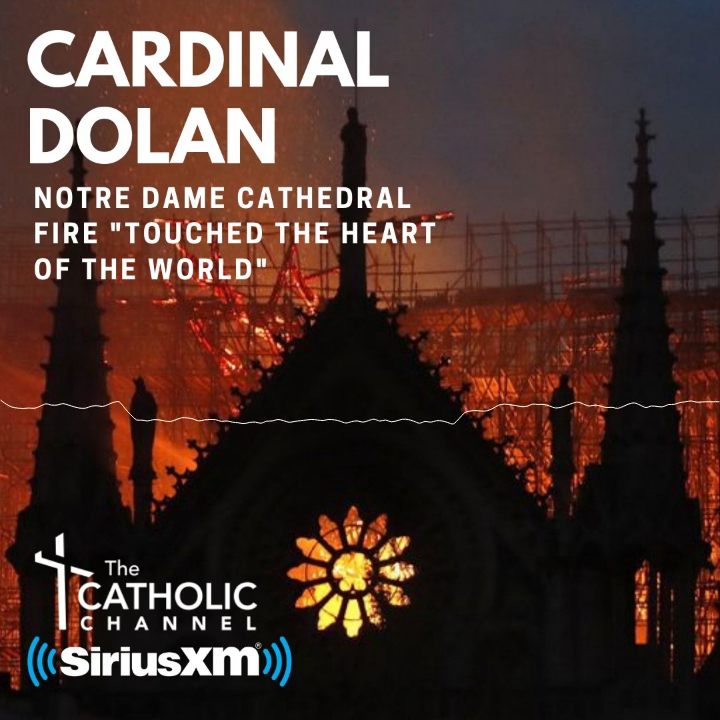 Cardinal Dolan “knows of your suffering,” Bishop O’Hara said in his remarks to the congregation. He noted that the cardinal’s prayers and greetings to them accompanied him on his visit. Among the parishioners who were taken aback by the news was Mark Pilla, 42, who attended the 9:30 a.m. Mass with his wife Megan and their two young daughters and son. Pilla, who spoke with CNY outside the church after the Mass, said he anticipated their children will have questions for them. A news release from the archdiocese said the desecration at Holy Trinity was the latest in a series of bias incidents targeting Catholic churches in the archdiocese recently. Among them, it cited pro-Islamist writings spray painted on St. Catherine of Genoa Church in Manhattan, and Sacred Heart Church in Suffern experienced smashed stained glass windows, broken candle stands and other damage, as well as an assault on a church employee.